Adding collagen to your daily diet helps your body rejuvenate. Collagen is one of the "unsung heroes" of our bodies. It helps keep our skin firm, our hair and nails looking great... and even improves joint health. Because we source our collagen from grass-fed beef... it's simply the purest, best choice for your collagen supplement. It's not just about the taste, after all! "Yes, Hot Chocolate Again! I have not had a cup of hot chocolate for over 20 years because of unhealthy ingredients. I tried this because of the healthy ingredients and have been drinking a cup every day. Glad to experience a great cup of hot chocolate again." "GREAT!!! I love and appreciate that this product is gluten, dairy and soy free, and yet it still tastes great!!! I add it to my collagen coffee in the morning or have it as a healthy pick me up treat in the afternoon!" The health of your gut is vitally important to your overall body’s health. Poor gut health has been linked to a host of conditions like allergies, inflammation, IBS, and even obesity. 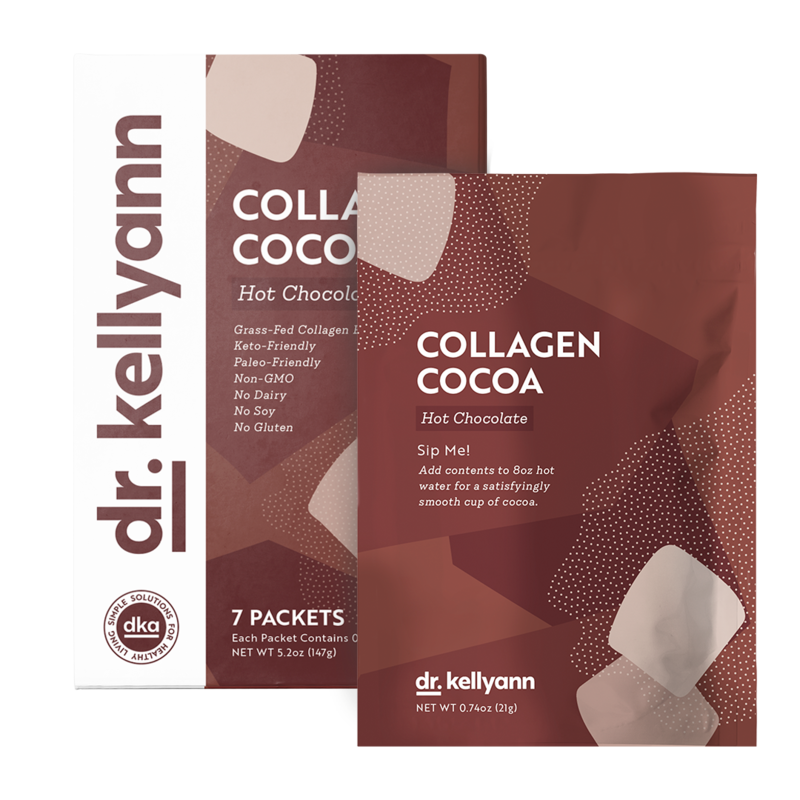 With this collagen cocoa you'll begin to heal your gut from damage done over the years. 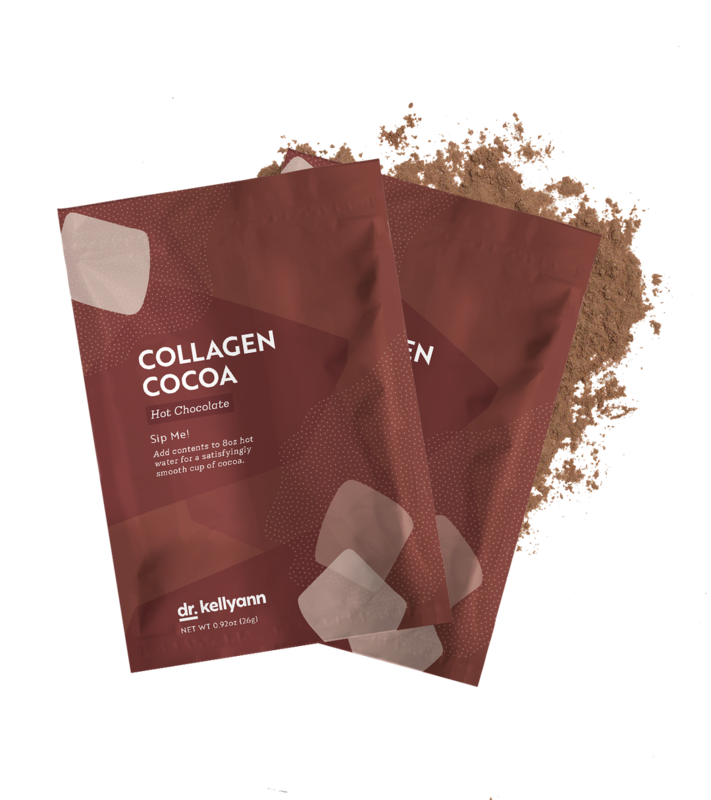 Collagen Cocoa contains a host of ingredients that are designed specifically to help you look and feel better than ever! Collagen cocoa can help to relieve joint pain, increase energy, and improve the overall health and function of other organs. This cocoa comes in easy, grab & go packets for a quick nutritious drink in just seconds. Instead of opting for food that will leave your body bloated, fatigued, hurting... you can simply make a sweet, healthy treat to get you through the day.